Polaris Hiring Fresher and Exp Candidates in Multiple locations on February 2014. 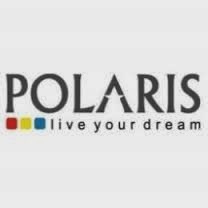 Polaris Recruiting B.E, B.Tech, BCA, B.Sc, M.E, M.Tech, MCA, MSC Fresher and Exp Candidates in Multiple Locations. Candidate should have knowledge in Testing of work units in line with test cases without passover of defects, adhering to processes. GraduateTesting of work units in line with test cases, adhering to processes graduate. About Polaris Financial Technology Limited Polaris Financial Technology Limited, a NASSCOM Top 10 company, is a recognized global leader in Specialty Application Development for the Banking, Financial and Insurance sector, with its comprehensive portfolio of products, specialized outsourcing & modernization services and consulting. Polaris has a talent strength of close to 10,000 solution architects, domain experts and technology experts and owns the largest set of Intellectual Properties in the form of a comprehensive product suite and seven banking platforms namely, Intellect Universal Banking, Intellect Consumer Finance, Intellect Credit Cards, Intellect Cash & Liquidity Management, Intellect Wealth Management, Intellect Portals and Intellect Risk & Treasury Platform. Headquartered in Chennai, Polaris has its Corporate Banking Solution Centre in Mumbai, Investment Banking Solution Centre in Hyderabad, Risk & Treasury Solution Center in Mumbai, Retail Banking and Insurance Solution Centre in Chennai and Enterprise Solution Centre in Delhi. Polaris has offices in Tokyo, Sydney, Hong Kong, Singapore, India, Dubai, Bahrain, Riyadh, London, Belfast, Zurich, Frankfurt, Toronto, New York, Chicago, Fremont and Chile. For more information, please visit http://www.polarisft.com/.